Habitat: Riparian. 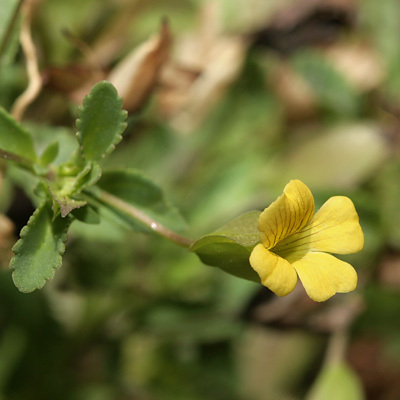 This little wildflower is almost always found in wetlands here, and it typically grows in desert and upland washes and canyons with recent water and at the edge of streams, seeps, and springs. 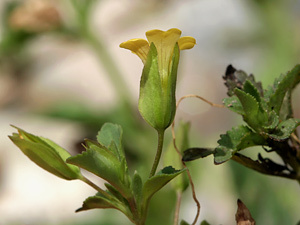 Description: The flowers are 1/2 inch (1.3 cm) long, surrounded by 3 green bracts at the base, and tubular in shape with 2 joined upper lobes, 3 lower lobes, and a brown-lined throat. The leaves are light green, fleshy, opposite, toothed, and have pinnate venation. The stems are square.